I love a handbag and over the years I have amassed quite a collection! I adore the rich colour of this one and the separate compartments inside would make it a great practical choice. One of the most iconic Valentine’s gifts with a very special value: Fairtrade Roses are handpicked by local farm workers in Kenya. Make a difference and choose to improve the working and living conditions of farmers and workers in Kenya. 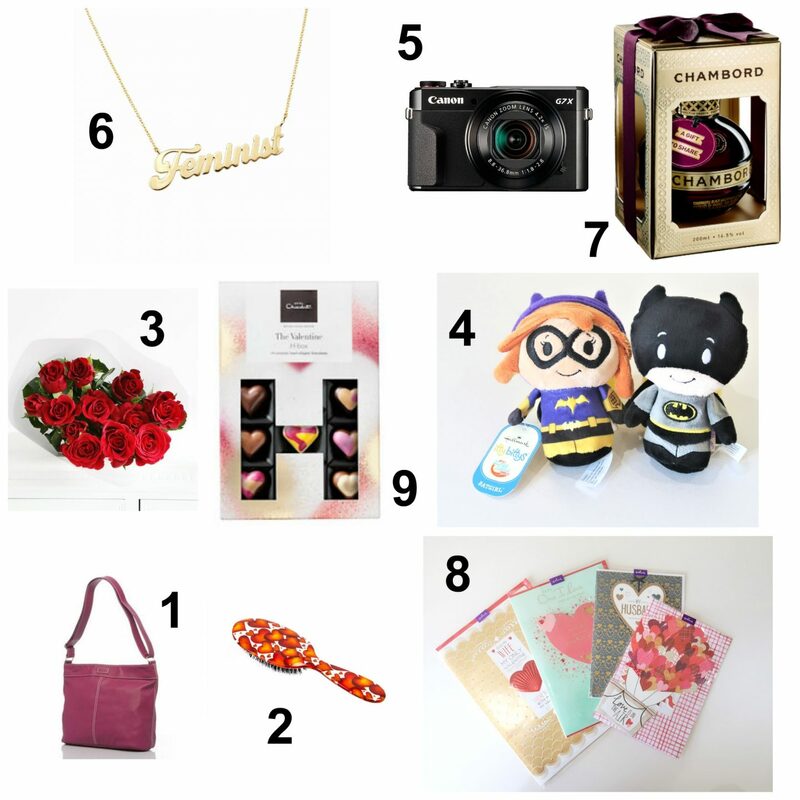 Spoil your loved one with a bouquet of 12 passionate red roses. I love the cute and quirky Itty Bittys and this Valentines. We are all really into Superheroes here so of course, Batman and Batgirl were the obvious choice. Other couples versions that are new to the Itty Bittys range include Lady and the Tramp, Miss Piggy and Kermit and Superman and Supergirl. This one is way up there on my wishlist. 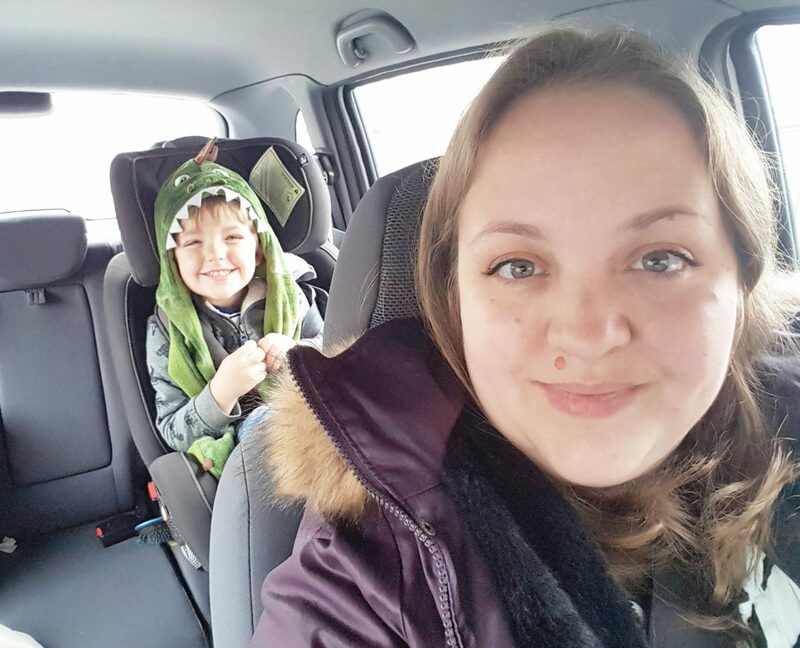 The Canon G7X II is an amazing camera and excellent for helping to make memories! We adore this Feminist necklace by Rock and Rose. Is there anything sexier than a man who is not afraid to be with a strong woman? A delicious black raspberry liqueur which can be used to make amazing cocktails or (if you are me) an awesome grown up milkshake! Forgot the card? Don’t worry, Hallmark have you got you covered. They have a massive range of cards to suit all ages and tastes! 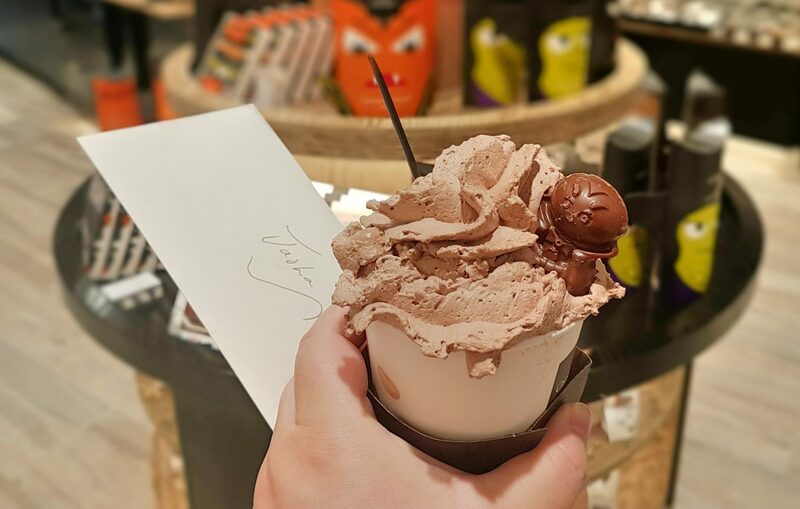 Who doesn’t love chocolate?! 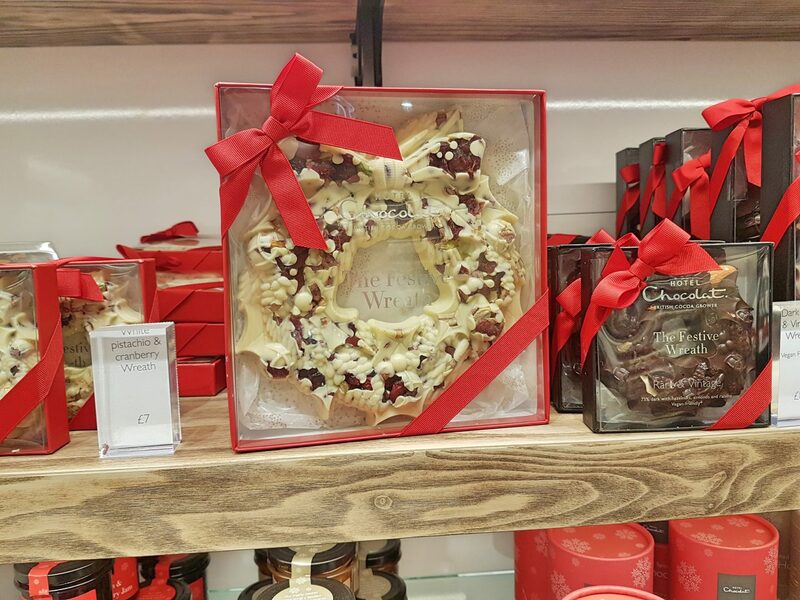 My advice is to buy the best quality chocolate you can afford. 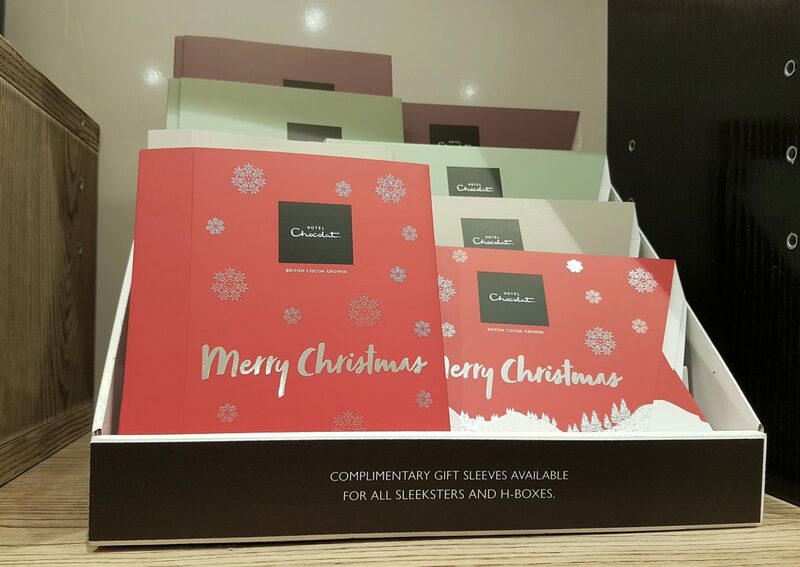 The H Box from Hotel Chocolat is a great gift choice! Moose and I can often be found at Sacrewell farm. He absolutely adores the place. Whether we are running around in the maze, spotting peacocks or saying hello to the Pigs, Moose always has lots of fun! So when we were invited to visit Father Christmas here we were only too happy to oblige! Booking in advance means that you are given a time to visit. This is a great idea because small children are bad enough at being patient at the best of times let alone when Christmas is involved! We arrived 2 hours before our allotted time. You are welcome to arrived as early as you like but I felt that Moose might be a bit too tired if we came along any earlier. On arrival I paid for our tractor ride and after a little play with the trains in the foyer we made our way into the farm. Our first stop at the farm is always to say hello to the goats. Then we moved on to the rabbits and after that Moose was a little cold so we popped into the play barn so he could burn off some energy in the warm. 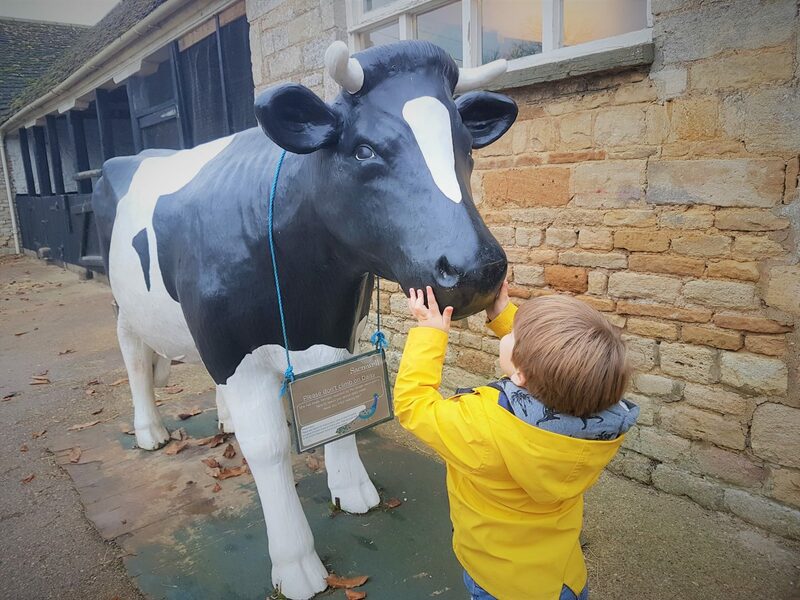 The play barn is included in the off peak £4.55 farm entry fee for children and when you consider that is less than the price of some soft play admission it does make it a bit of a bargain! 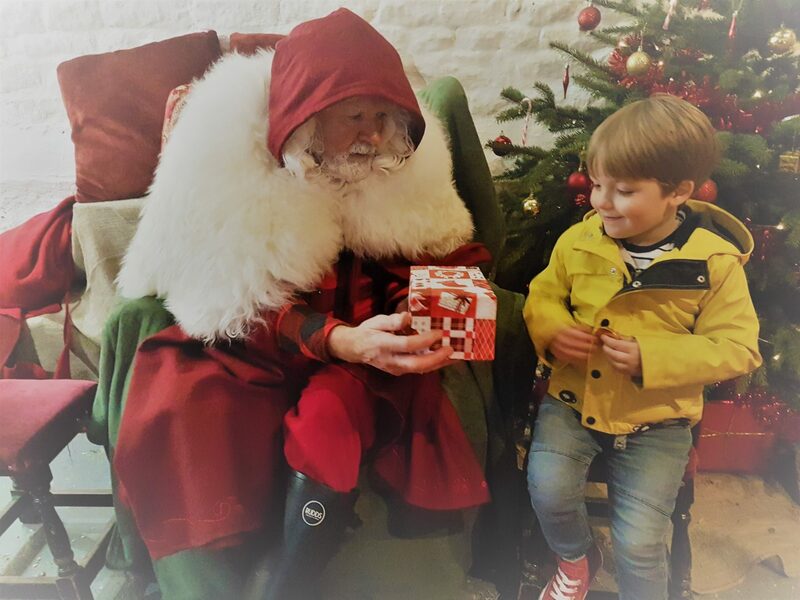 Father Christmas at Sacrewell this year has his grotto in Hutton barn. Having no previous experience of Sacrewell at Christmas I have no way of being able to tell you whether this is the best place for him but I loved it. 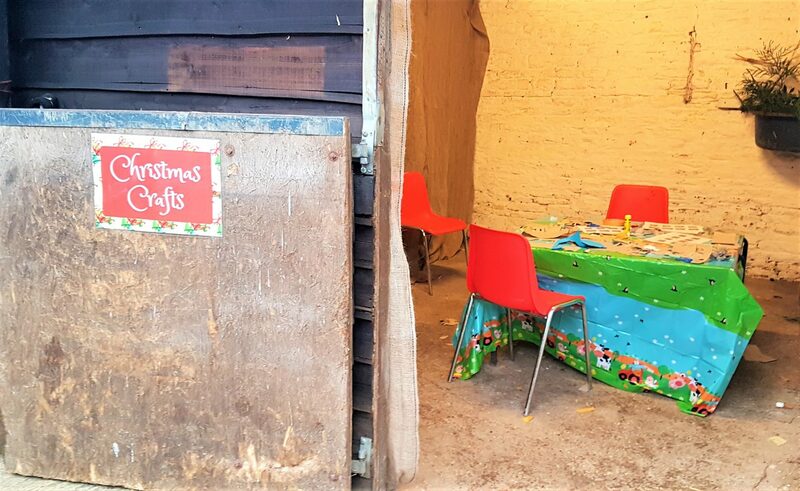 The winding walk up to barn was lit with fairy lights and the stable outside had been commandeered as a craft activity area which was a great idea. Inside the barn were lots of Christmas trees and fairy lights. There was also a table with some story books and mince pies to pass the time as we waited. I can confirm that the mince pies were yummy. Further along was another crafting table and some Christmas themed photo props which were great fun. I am always a bit anxious about taking the children to see Santa. I am a self confessed Santa snob. I want the big man to be authentic. I want him to be THE Father Christmas. A young lad in an obviously fake beard who rushes the little ones through is my idea of Christmas hell. We only have a few years when our little ones truly believe so this stuff is important! 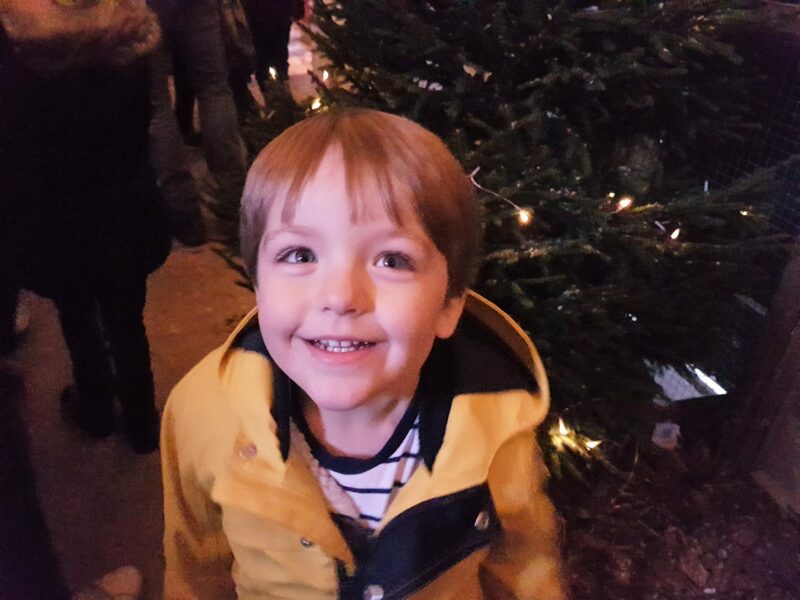 He was so excited while we were waiting to go in to see Father Christmas (see above for photo evidence) but unfortunately as we entered, Moose’s shy side kicked in and he stood frozen to the spot. 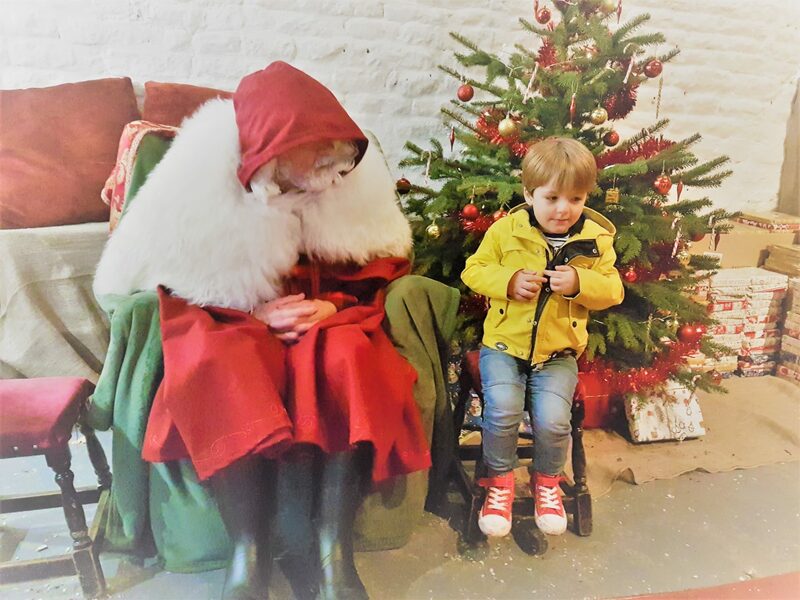 Father Christmas not only looked the part but he was so lovely and patient with my shy boy. Even producing from his pocket a chocolate coin to try and win him around! 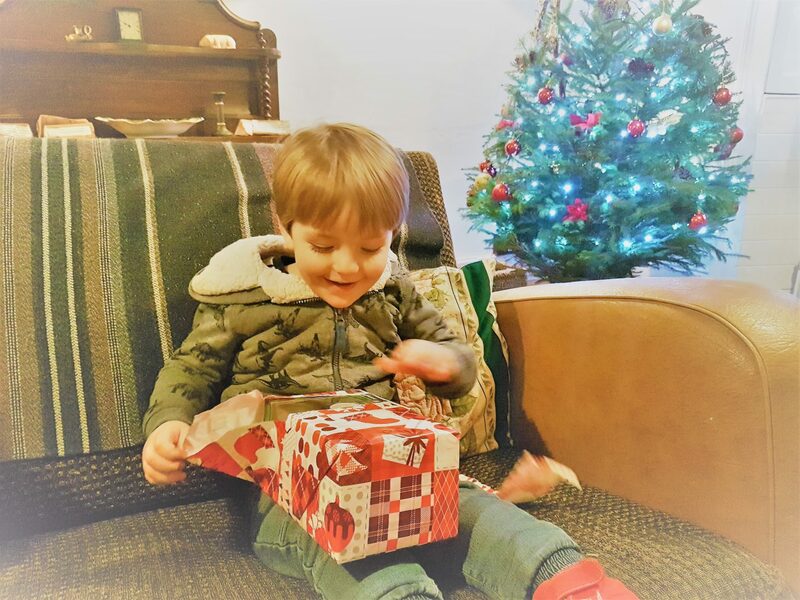 He chatted to him for some time about what he would like to receive at Christmas and Moose managed to murmur that he would really like a Batman costume. Santa then gave him his gift and Moose happily accepted it. I cannot stress enough what a big deal that was – I had expected him to run a mile. This Santa clearly knows how to play his role and I was really impressed! 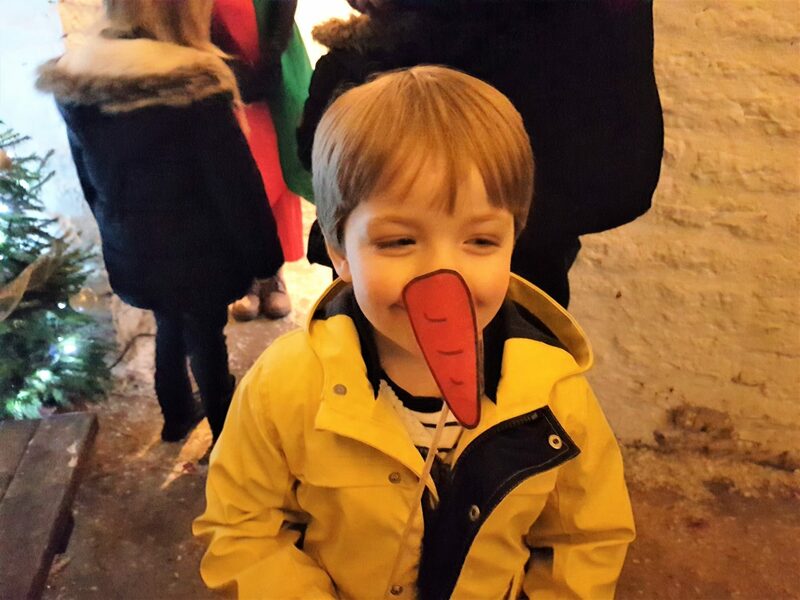 Sacrewell is not the cheapest Father Christmas to visit. The price is £7.50 per child in addition to the cost of entry. However, there is a lot to do (even in December) at the farm. You can easily spend many hours here. Especially if your children are perhaps a little older. 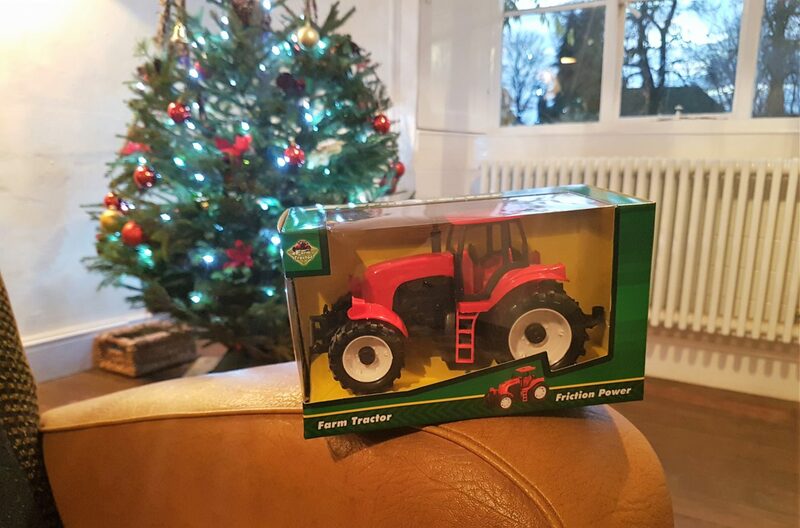 Moose has played with his tractor every day since he received it from Father Christmas! 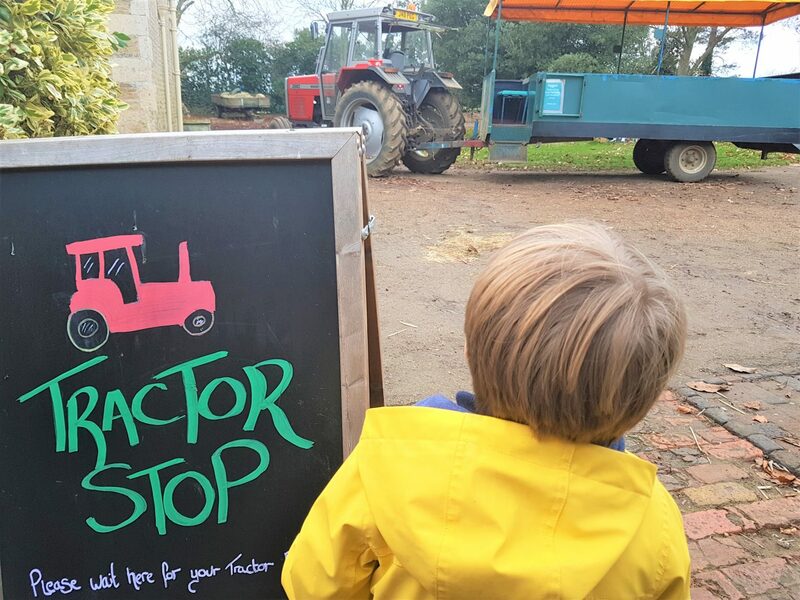 We really enjoyed our visit to Sacrewell and cannot wait to see what 2018 brings for the farm. 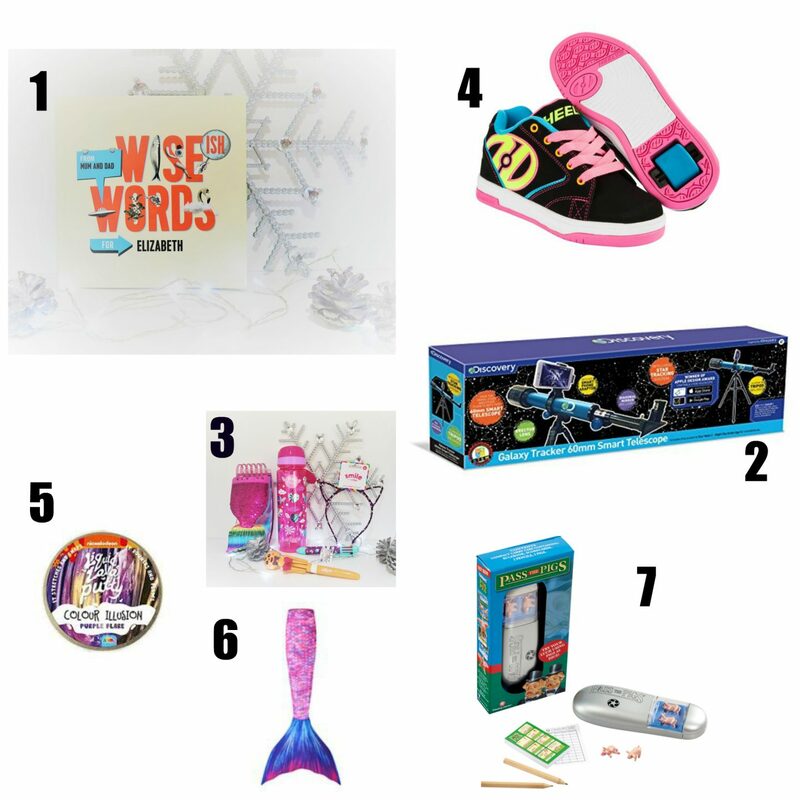 It can be a challenge to shop for older children who aren’t really young enough for toys . 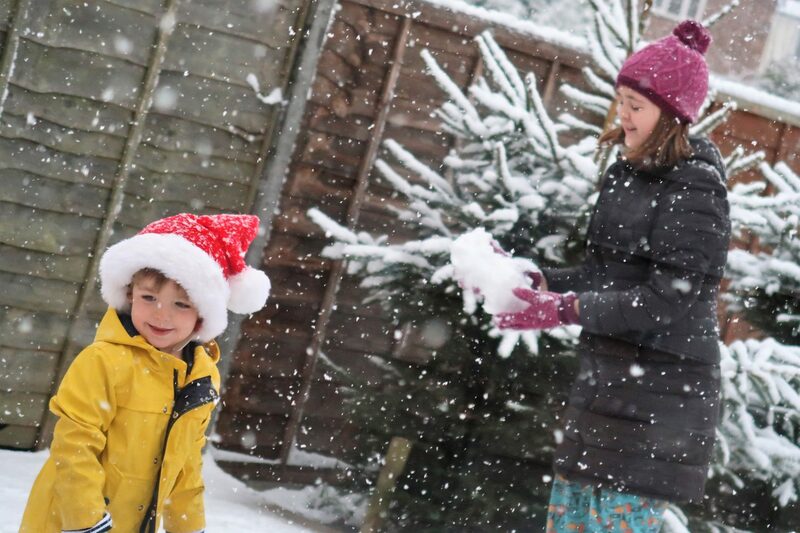 Whether they are 11 going on 27 or a relative you don’t see often we have some great ideas! Each unique book of Wise(ish) Words is crammed with stunning design where you choose the style and colours and to what extent you’d like the wise(ish) words to be heartfelt or cheeky, and hit create. You can edit at every stage to lovingly tailor the book’s mottos and maxims even further for the child you have in mind. 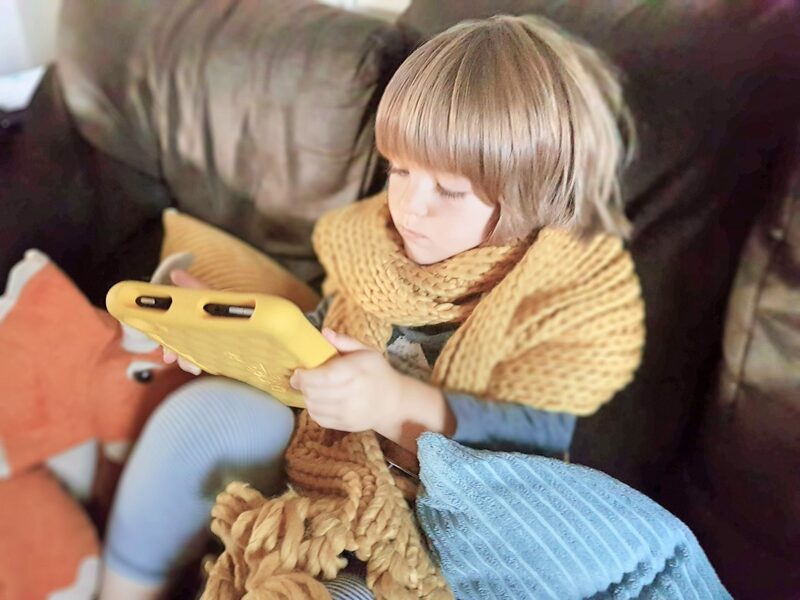 Navigate the stars using the ‘Star walk 2’ smartphone app – winner of an apple design award. A night sky guide app for smartphone. Use the enclosed adaptor to Mount your smartphone on the telescope, making it easy to use the app to find and identify the stars. Comes with 2 eyepieces 16.6mm, 8.3mm, erector lens (21x microscope, diagonal mirror). for ages 8 years and over. You won’t be able to keep your hands off Liquid Lava Putty! Who wouldn’t want to have an actual mermaid tail?! With the added magic monofin you will cutting through the water like, well, a mermaid in no time! Pass the pigs is a great choice for older children, check out our review for more details! 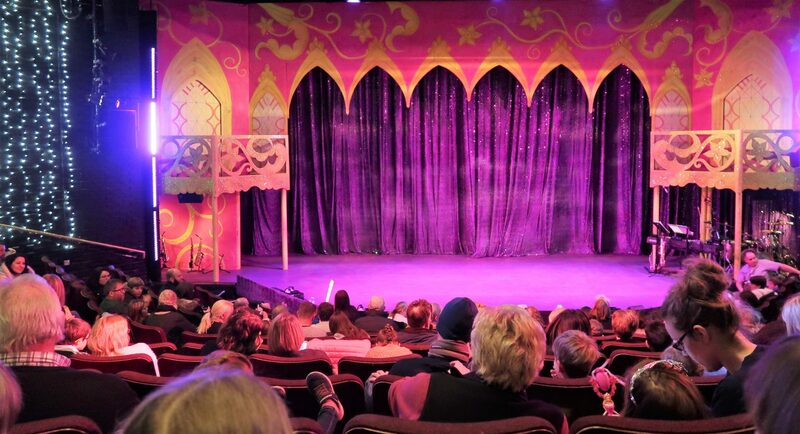 We had never taken the children to a pantomime before so when we were kindly invited to watch Sleeping Beauty at the Key Theatre we were happy to accept! I have been to see other productions at the Key. However, as much as I love the theatre I don’t get the opportunity to go as much I would like to. I am definitely intending on changing this in 2018! Call it a resolution if you like. We awoke on the morning of the pantomime to find that overnight the snow had settled covering our street in a blanket of white. As beautiful as the snow looks it’s not really practical when you have things to do. I did wonder whether the pantomime would go ahead at all but one look at twitter and it became clear that it would take more than a bit of dodgy weather to stop this show. We got to theatre a little later than planned thanks to a bit of trouble with the parking machine. Parking at the theatre is chargeable. Collecting our tickets from the box office was simple and the queue was thankfully a fast moving one. We hurried to our seats and waited excitedly for the show to begin! The Key Theatre do have booster seats available but thanks to its gradient seating and the small person in front of him, Moose didn’t need boosting. 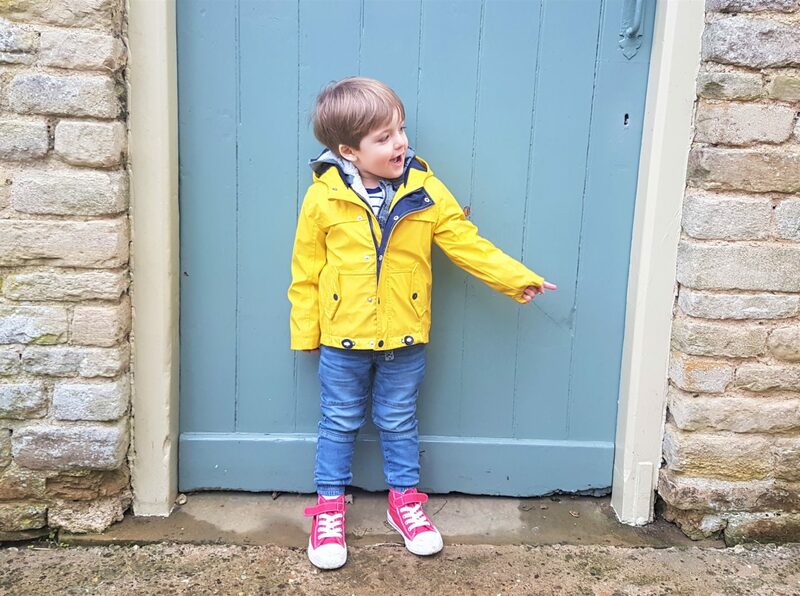 As any parent of large age gap children knows, it is sometimes difficult to find an activity which entertains both children at a similar level. The pantomime can definitely be added to that (short) list. From the moment that Fairy PD walked out onto the stage both Bess and Moose were hooked. I had been a bit apprehensive that 135 minutes would be a bit much for Moose to sit through but he was utterly transfixed by it all. Carabosse (the bad fairy) was a surprise hit with both of the children. When asked who his favourite was, Moose said the bad fairy because he liked shouting BOOOOO. Bess loved her Taylor Swift parody. She really was a fabulous character and probably my favourite too! In the interval Grandma Chicken (not a panto character, just a nickname for my Mum created by Bess which stuck) bought some goodies. We were pleasantly surprised that the prices for snacks were really very reasonable. The children had a pack which cost £3.50 and contained; popcorn, fruit shoot, packet of buttons and a pot of ice cream. I had some popcorn £2 and a bottle of coke £2. Moose ate his in the correct way by tipping the chocolate buttons into the popcorn. He gave me his ice cream as (and I quote) “it was too cold”. Kids are odd. There were also flashing wands and swords available. I decided not to buy one as Moose hadn’t spotted them and I was pretty sure him having one would result in some kind of injury (to someone else) but they too were not badly priced at less than £5 each. 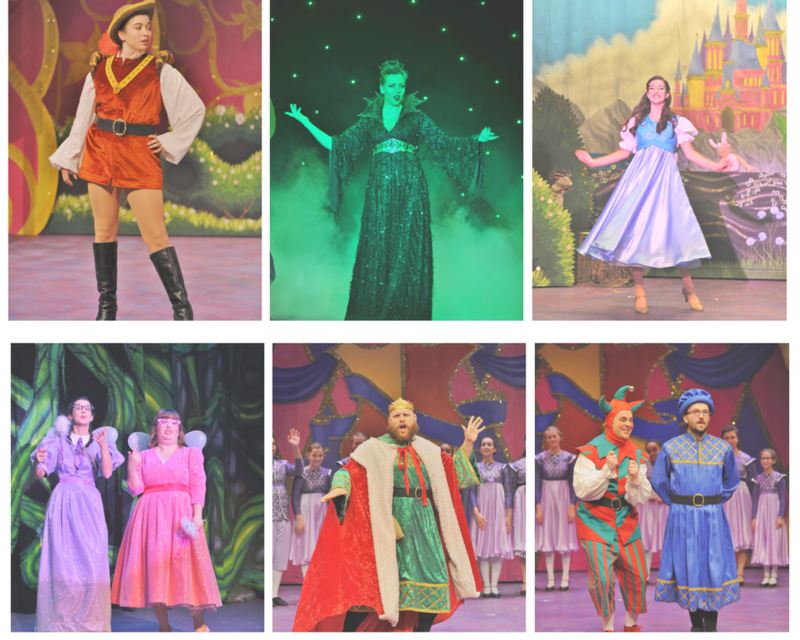 It’s a very traditional family friendly panto with the usual audience participation and funny lines to shout. 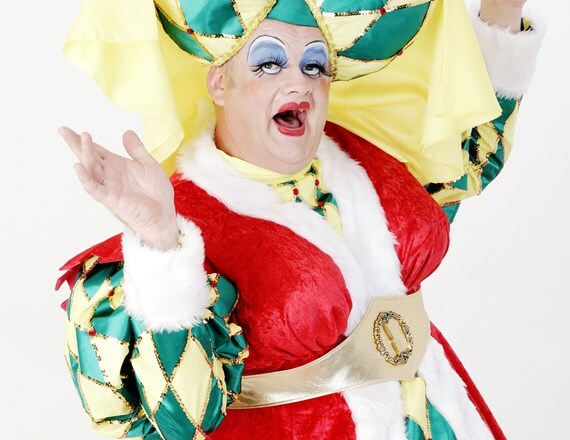 The Panto follows the story of Aurora who is cursed at her naming ceremony by Carabosse (the spurned former fiance of the King) and is sent to live with the 3 good fairies as their niece until her 18th birthday to escape Carabosse’s curse. There to help along the way was Jingle the Jester. The cast were all fabulous! Jingle the Jester and Queen Iona Trumpet especially were very funny. I was really impressed by the set and costumes too! It all felt really polished – Bess wasn’t sure whether Carabosse getting the giggles was part of the show but it was amusing nonetheless. 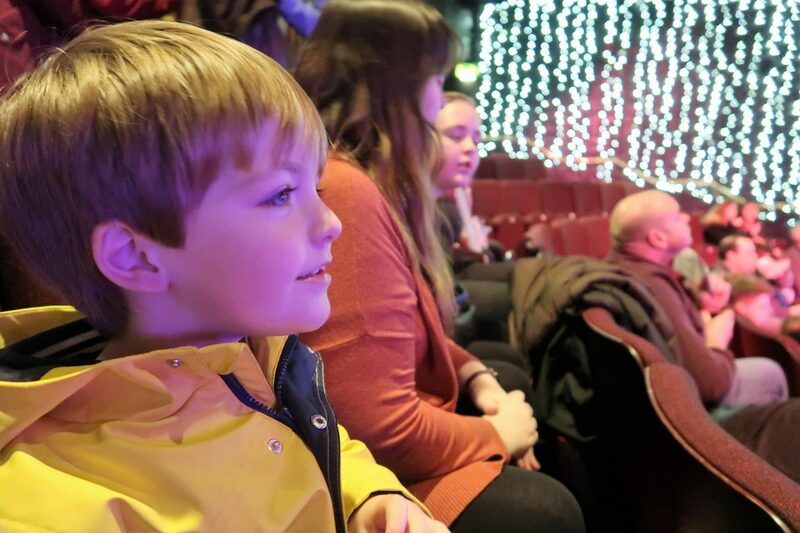 We found the show to be fun, engaging for all ages and really a great way to introduce the children to the theatre. I will feel a lot more confident taking Moose to future productions. Will we return? Oh yes we will! 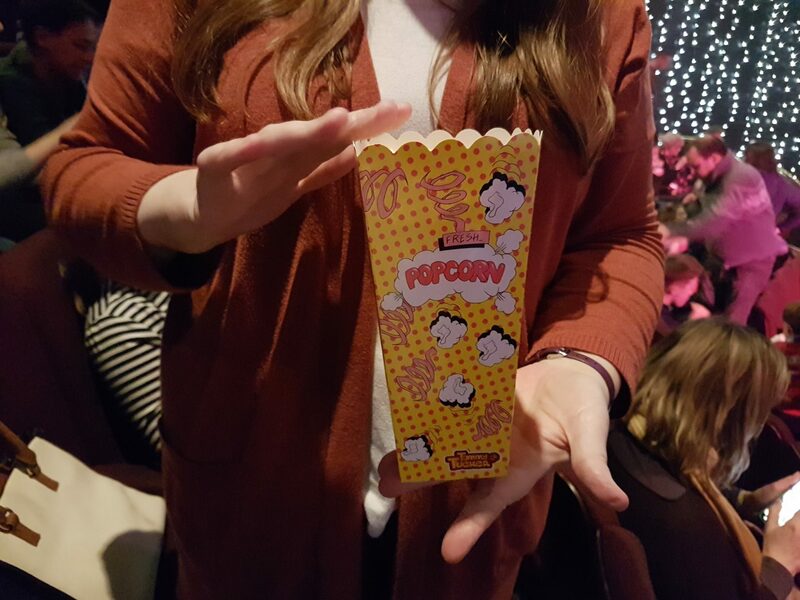 Disclaimer: We were given tickets to watch the pantomime in exchange for an honest review. All opinions are my own. 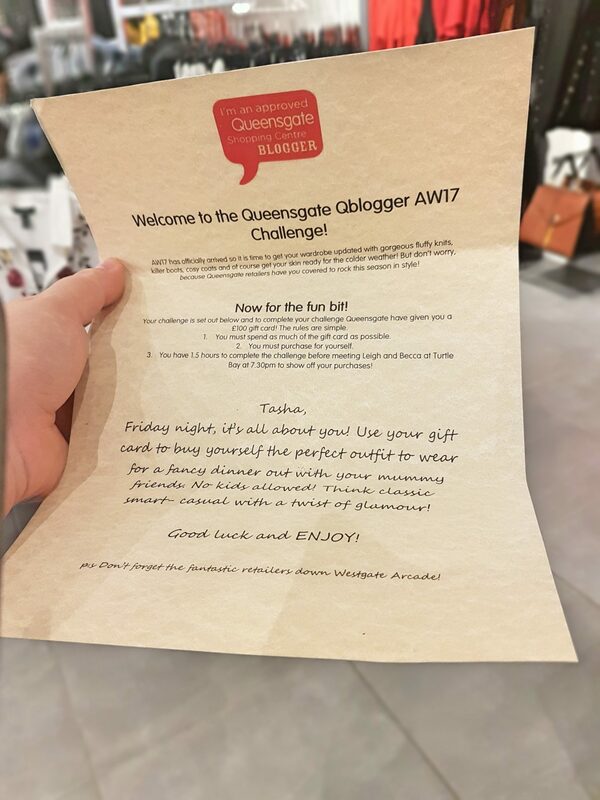 A couple of weeks ago I joined a few new blogging friends to complete my first challenge as a QBlogger for our local Queensgate shopping centre. 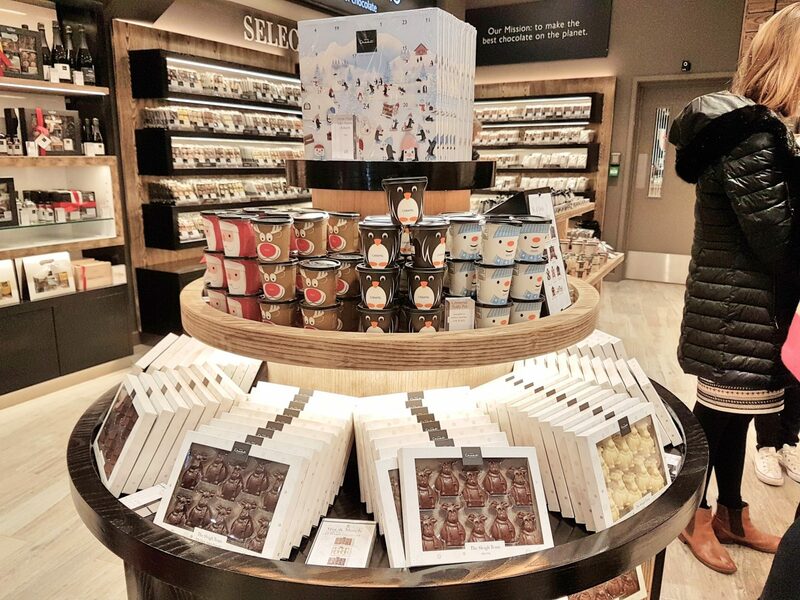 All I had been told was that we were to assemble (much like the Avengers) at Hotel Chocolat and await further instruction. 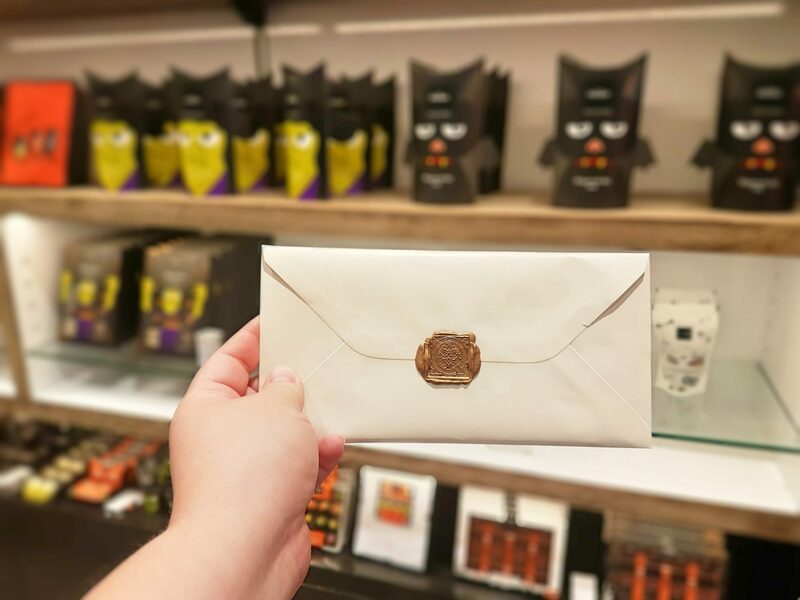 You know you are about to embark on something rather exciting when it starts with a very indulgent hot chocolate and an envelope with a wax seal! Inside the envelope was a letter outlining my task for the evening ahead. I had to go shopping! Specifically I had to search the Queensgate shops for an outfit suitable for an evening dining with my Mummy friends. I thought about my Mummy friends and decided to look beyond the fact that we would be most at home necking a quick kebab (sorry ladies) in favour of a more civilised approach to the task at hand. So, back to the hot chocolate. It was absolutely delicious and topped with an enormous amount of chocolate cream. 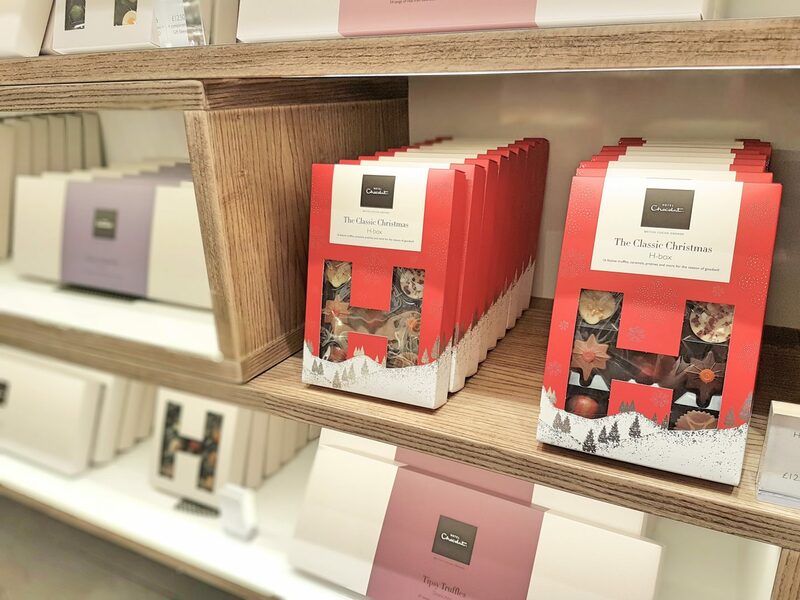 While we all enjoyed our treat I took some photos of Hotel Chocolat’s gorgeous Christmas range. I love the tiddly pots (tubs of chocolate buttons in dark, caramel or milk) and I will definitely keep them in mind for a treat for Moose the next time we come for a mooch in town. 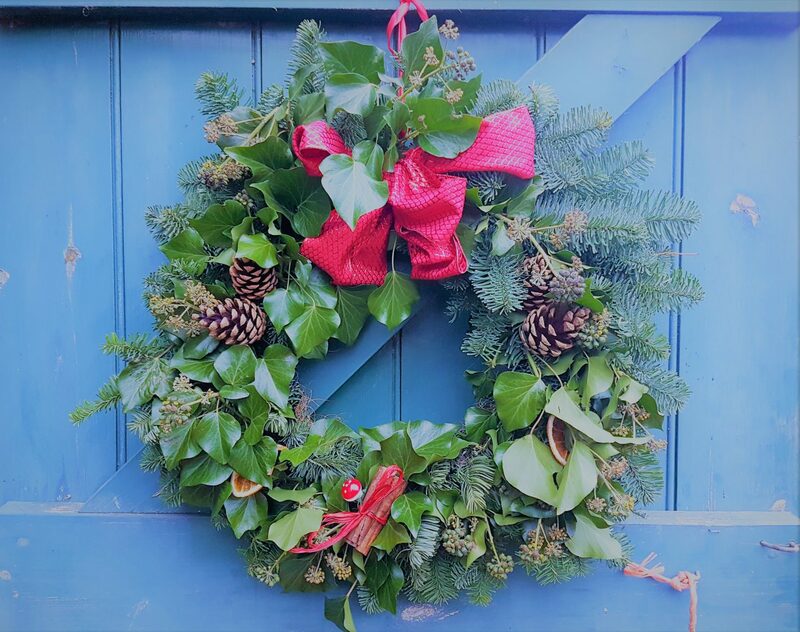 I need one of these wreaths. Pistachio, white chocolate and cranberry. The perfect trinity of flavour! 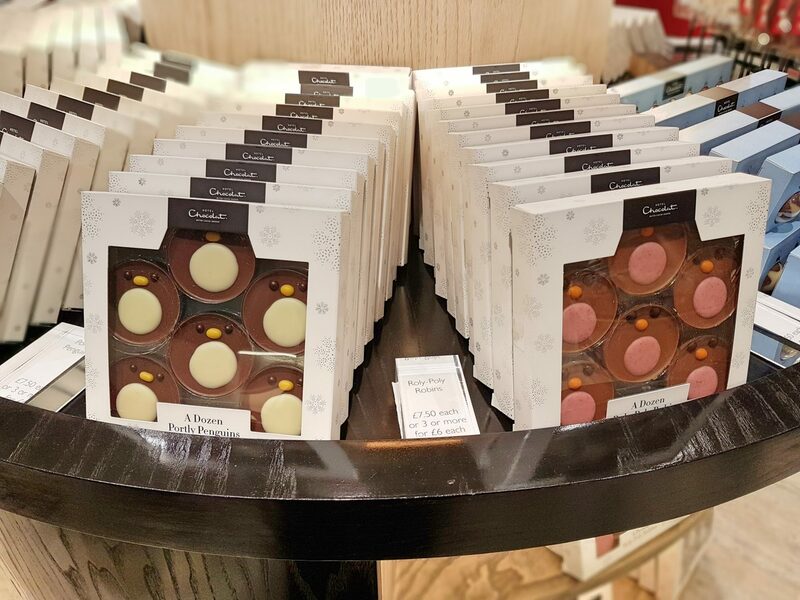 This is just a small selection of what is on offer this Christmas at Hotel Chocolat – don’t get me started on what look like the best advent calendars ever! 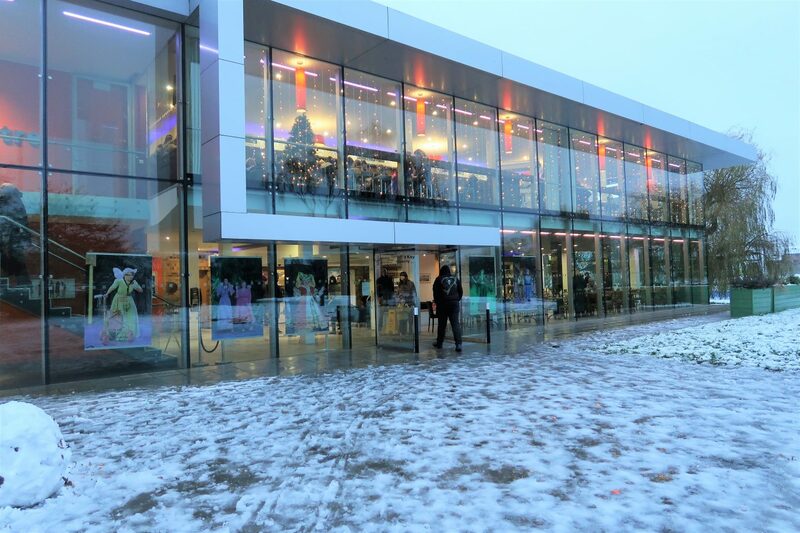 The Queensgate shopping centre is undergoing some really exciting changes at the moment but it is all still business as usual. 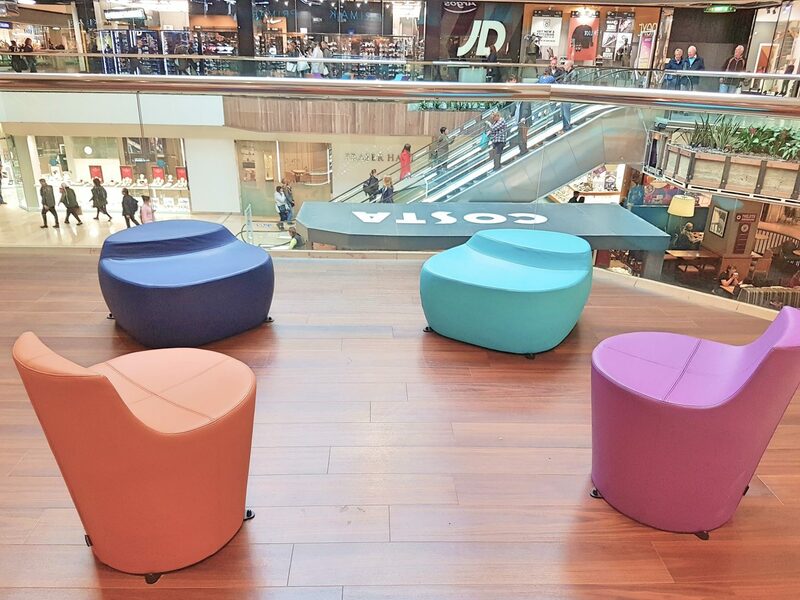 I really love how colourful the new seating is though I have to admit, I still miss the sunken seating outside John Lewis! To say I am not the most natural of shoppers would be a little bit of an understatement. I am afraid that I am the classic stereotypical Mother who really only spends money on myself when it is necessary. What I lack in experience though I more than made up for in enthusiasm! The opportunity to spend on myself guilt-free? Yes please. The first hurdle I had to overcome was finding a store which stocked my size. 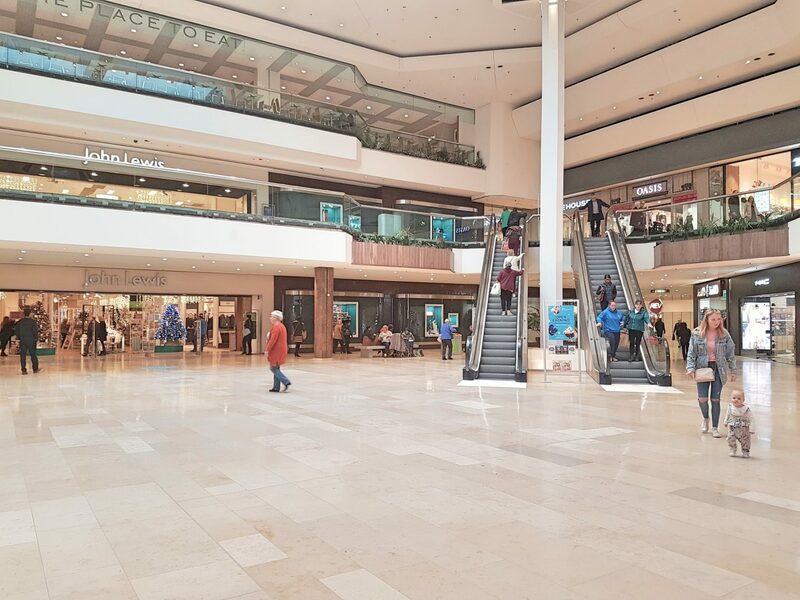 With the current reshuffle of shops it is admittedly a bit of a challenge to find a lot of choice for larger ladies in Queensgate while sticking to a budget. It’s not that none of the shops sell clothing in my size, it’s more that it is pot luck finding it to be on the rack! Usually I get around this by ordering online and collecting my purchases from the store. By this point I had 1 hour to complete my challenge. Luckily New Look has a brilliant curves range which I was really impressed with. 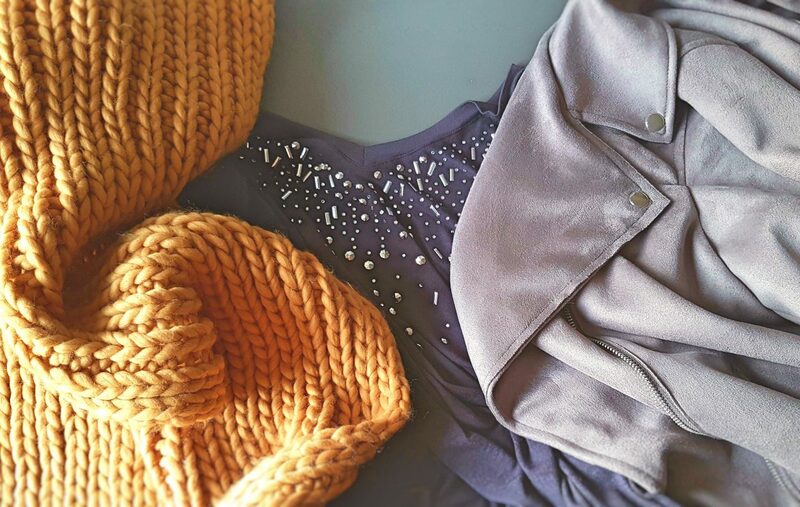 I managed to spot a gorgeous suedette jacket and a charcoal top with sparkly silver detail (to add the requested touch of glam) and both were well within budget! For me Autumn and Winter should be all about comfort and that means choosing fabrics which not only look nice but feel great too. 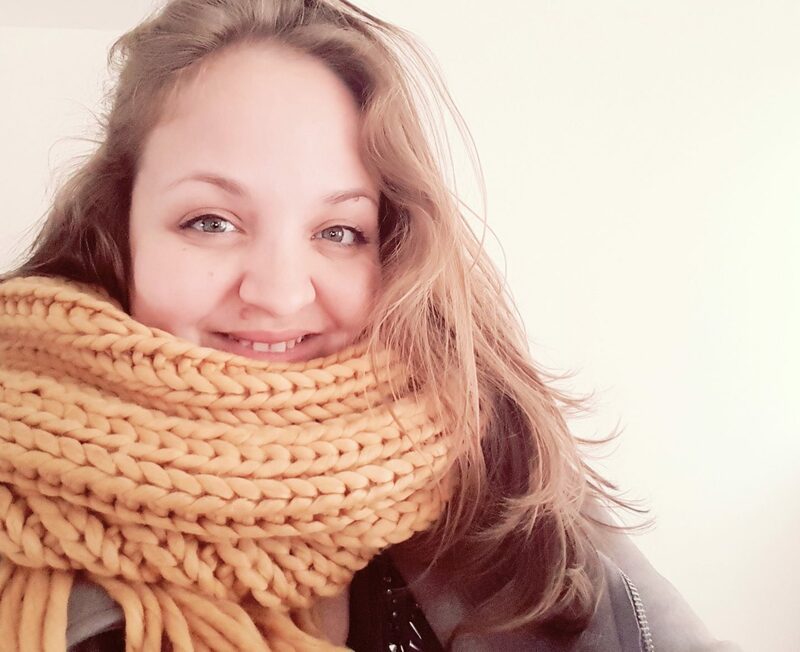 I found a gorgeous mustard chunky knit scarf in Primark which definitely fitted the bill. By the time I had located the scarf our time was up! 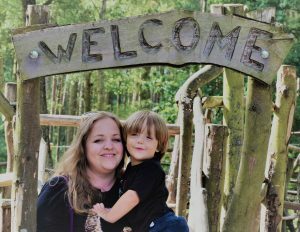 I couldn’t believe how quickly it had flown by and how much fun we had completing the QBlogger challenge. Our evening wasn’t over yet though, we had to meet the other bloggers at Turtle Bay restaurant. I cannot pretend that the prospect of meeting at one of my favourite restaurants didn’t fill me with glee! Upon entry to the restaurant Jaymee and I were welcomed by the lovely Becca and Leigh and I was introduced to the other bloggers present; Rachel from Helpless Whilst Drying and Laura from Loved By Laura. 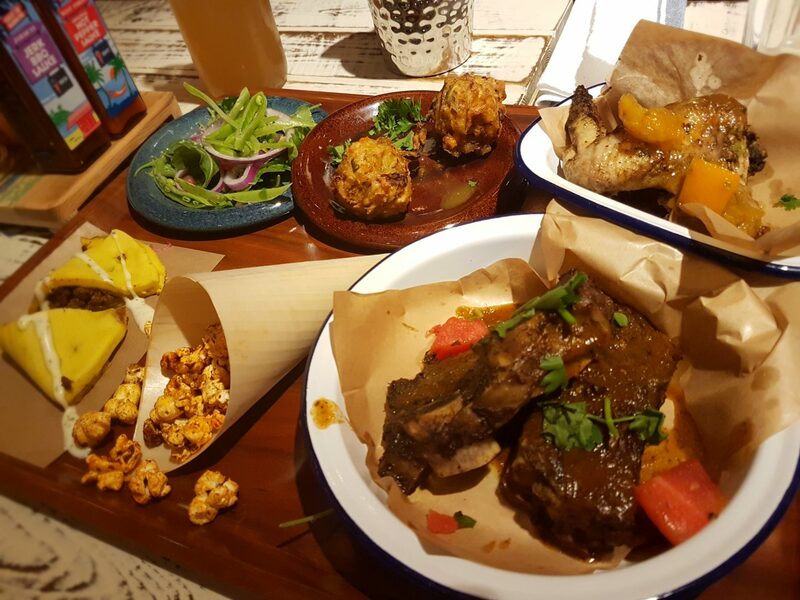 I just love the food at Turtle Bay so I was not disappointed to have so many lovely dishes to try. 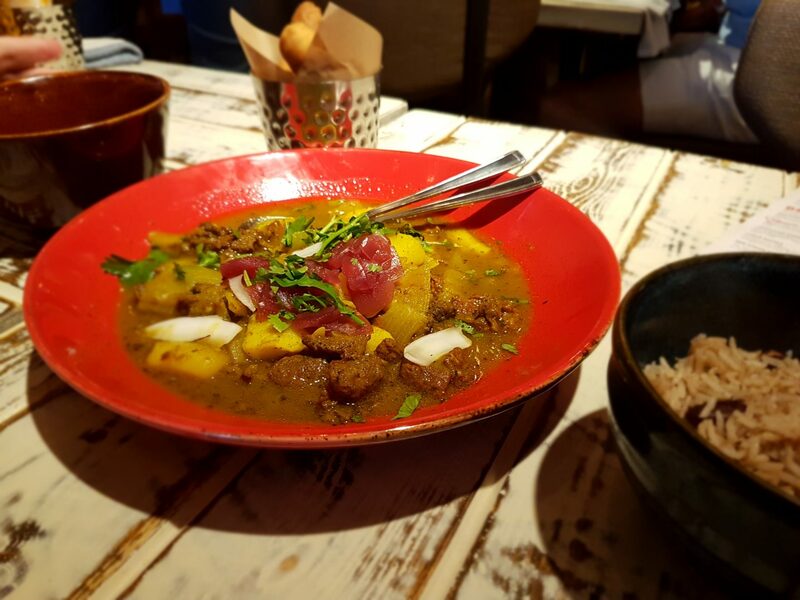 Pictured are the Just Jerk Platter and the Goat Curry with Festival Dumplings and Rice and Peas. Delicious! Despite feeling incredibly nervous about my first QBlogger event it was lovely to meet everyone and have a good chat! Before we knew it was time to retreat back to our cars and head home. 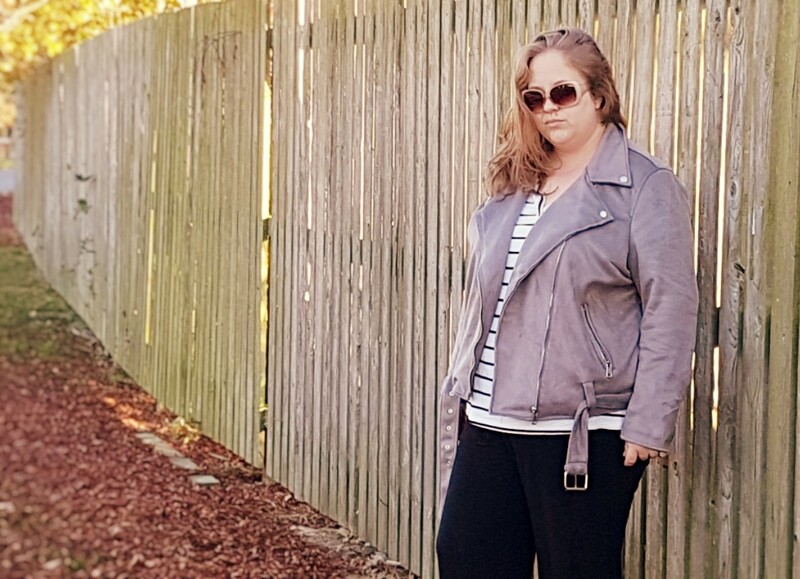 I have to be honest, I really dislike being in photographs but I felt like I should show off my lovely New Look jacket so here is me looking aloof (it’s actually awkward more than aloof but I went with it), and a fence and some very autumnal leaves. You’re welcome. I naively thought that my purchases would remain my own. Moose had other ideas and the morning after our challenge he immediately adopted my chunky scarf for himself. I have since negotiated its safe return. Thank you so much Queensgate for an exciting evening and for making me part of such a fabulous group of people!